The 2-in-1 spiral notebook fits in a regular-sized briefcase and any Ministry Ideaz bag. Based in Ecuador, Ministry Ideaz creates a variety of handcrafted supplies for Jehovah’s Witnesses, operating through an online storefront that delivers to consumers in the US and Canada. 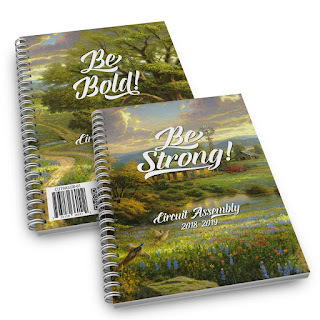 Products offered by Ministry Ideaz include a 2-in-1 spiral notebook designed for the 2018-2019 Circuit Assemblies.